In reading the Lebanese Army’s website, I was struck by how LAF doctrine (mirroring, to some degree, Hezbollah’s immutable belief that Israel’s very existence within any boundaries represents occupation, and must therefore be resisted) still includes “resisting Israeli occupation”, as part of their defining military doctrine. The international agreements and the universal declarations rights give all peoples the right to resist occupation and aggression and to defend themselves using all means that enables them for survival. Under this umbrella, the Lebanese Resistance against the Israeli occupation of Lebanese territories is a legal right which ends up only with withdrawal of occupation. This Resistance, which has been supported by the government, the army, and the civilians, has led to the defeat of the enemy on Lebanon’s land. Considering Israel an enemy for all the Lebanese, and not for a particular group. Therefore, any aggression that reaches any spot in Lebanon is an aggression against the whole nation, and it is up to all to stand up to it. 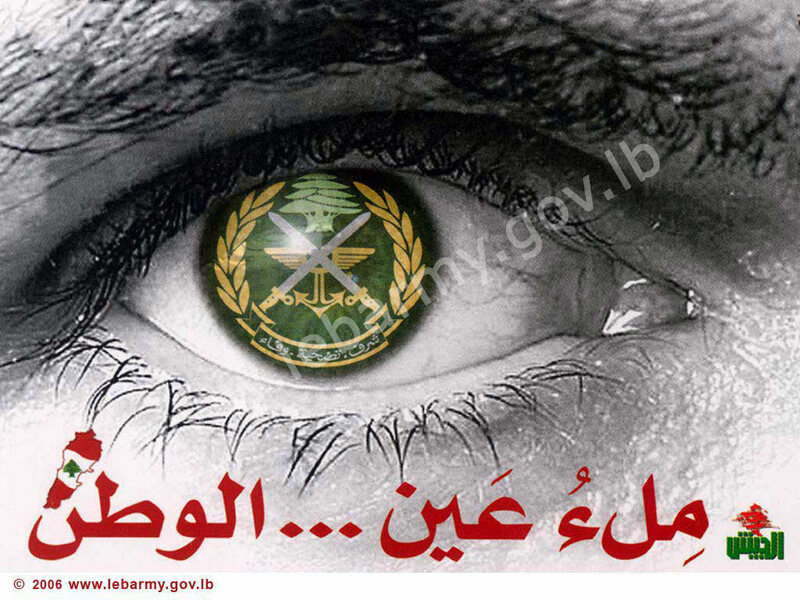 As far as the general national stand is concerned, Lebanon has known a unique unanimous awareness of the necessity of resisting the Israeli dangers, especially after the firm establishment of the conviction that Israeli danger threatens Lebanon’s stability, unity, and essence…Lebanon is an Arab country that shares with its brother Arab countries links of language, culture, common benefits, and the Israeli danger. The army has taken care to execute the government’s policy in which it has considered Syria to be the closest sister – country to Lebanon, and which has common ties of brotherhood, common history, and basic strategic political, military, and economic interests. Syria has helped the Lebanese government and army in the most difficult times, and its sacrifices have had a big role in ending the war, re-establishing stability and security, and successfully resisting the Israeli enemy. I think its fair to ask, ten years after Israel withdrew from South Lebanon to internationally recognized borders, what precisely is the LAF resisting? ”Occupation” and ”resistance” are concepts that exist in the minds of the Lebanese. They are prisoners of their own inadequacy and envy of their southern neighbour. Imagine how the second poorest country in the world must see the amazing success and prosperity of a country that was its equal in poverty when it started 62 years ago. SkyNews asks if the border skirmish was a pre-arranged attempt at a war by Lebanon. I’ve just read in Maariv that Israel is demanding the dismissal of the Lebanese officer who ordered the shooting of the officers. According to the sentiments expressed on their website they will probably give him a promotion. This is the same army that the Americans are arming and financing,they have given this army,some of the most advanced weaponry that the US Army is currently using in Iraq and Afghanistan. Up till now this army has received hundreds of millions of dollars in military aid,including advanced sniper systems,one of which could have been used on the Israeli soldiers that were ambushed on the Israeli border. Of course, the only real dangers to Lebanon are Hezbollah and Syria.